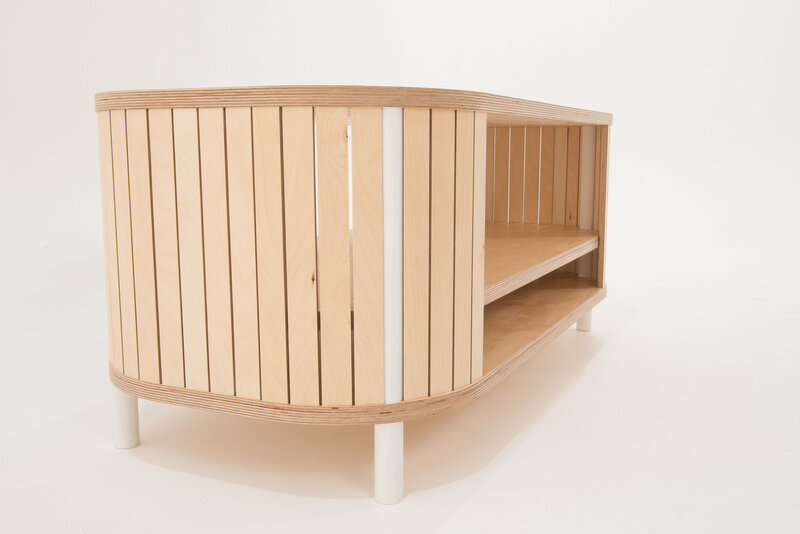 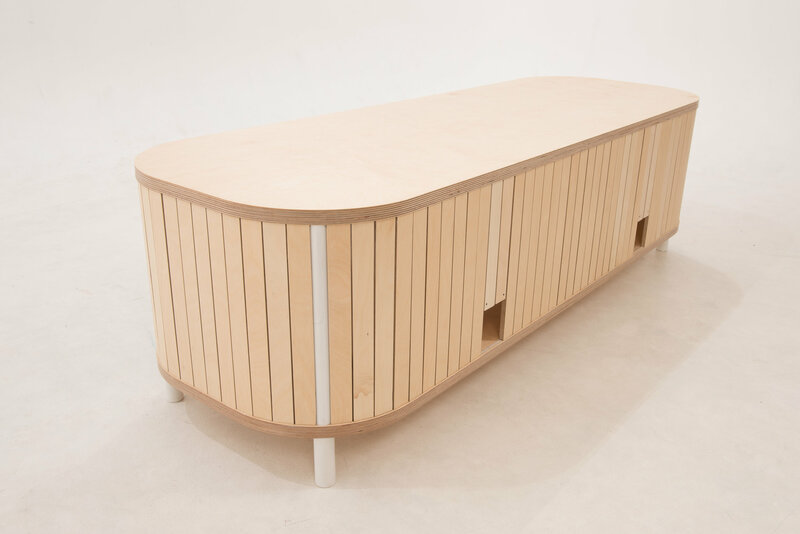 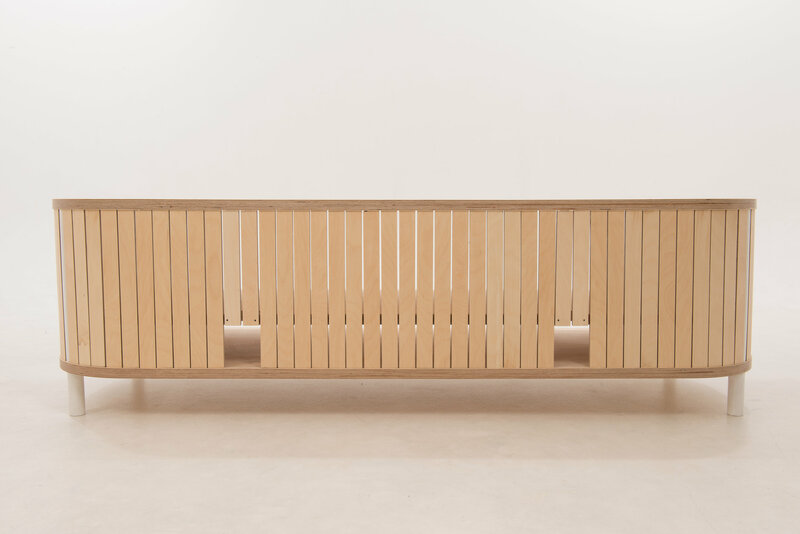 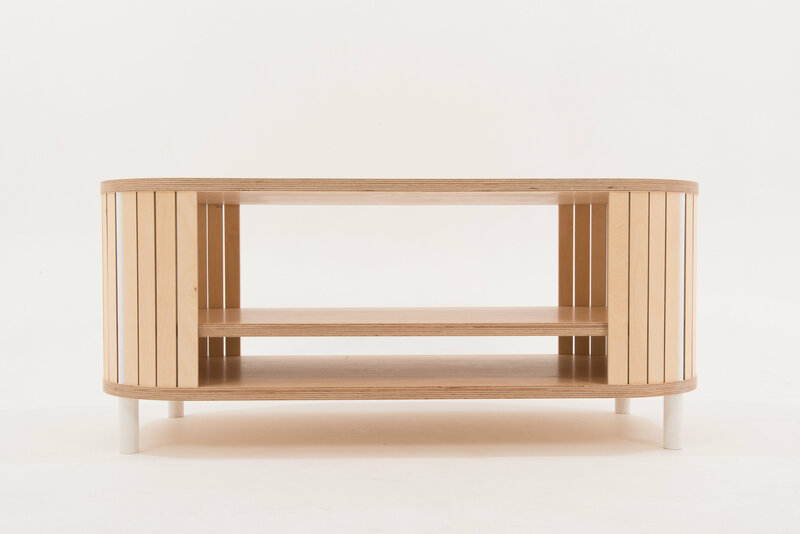 To meet the clients specific requirements, this Tambour inspired media unit snugly houses and displays a large amplifier, centre speaker, TV and other media devices. 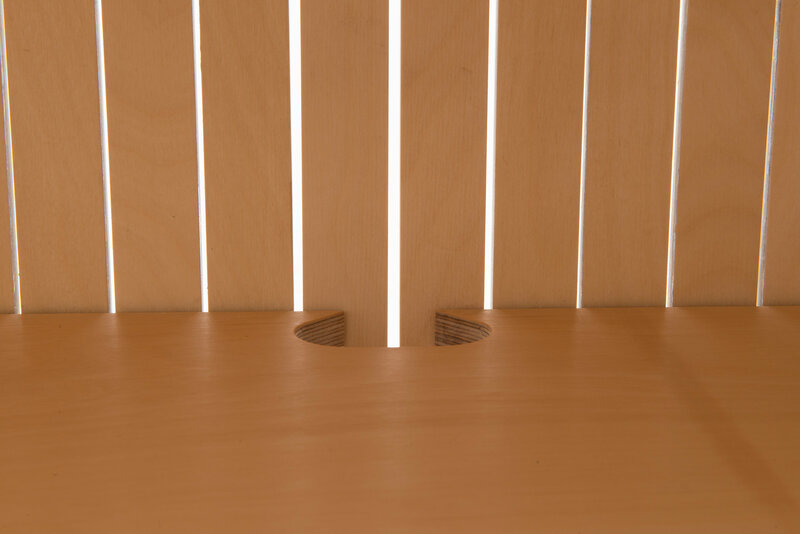 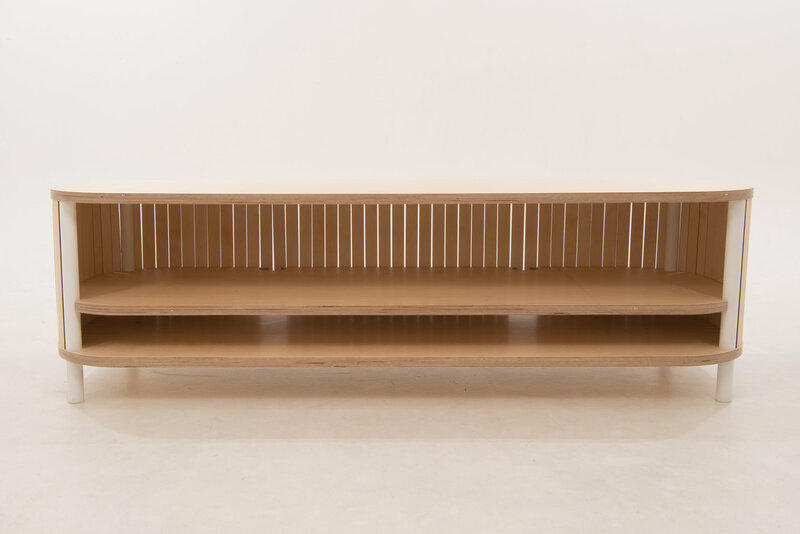 The slats sweep round the corners, the legs are hugged closely by the slats, and cables are neatly managed out of site. 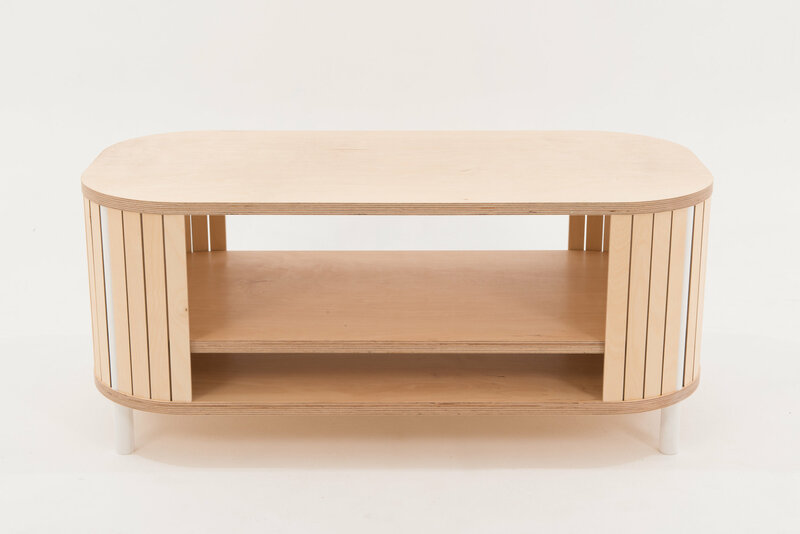 The client then commissioned a matching coffee table, which we were only too happy to make. 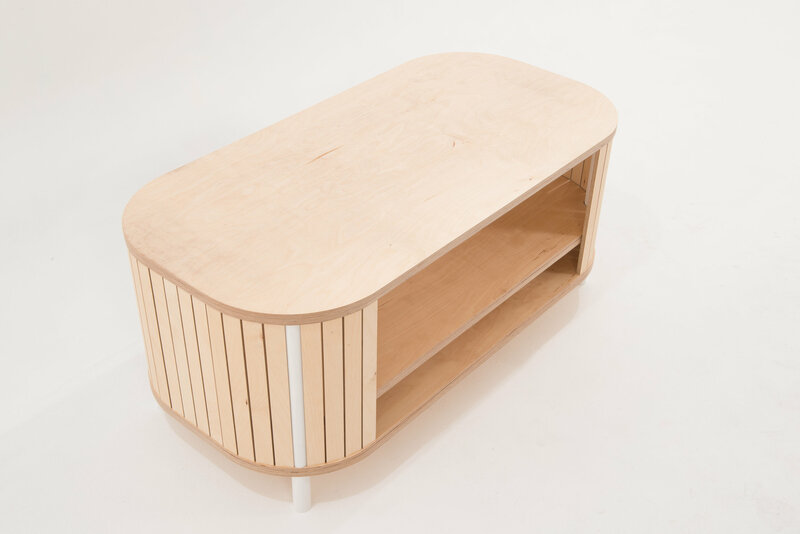 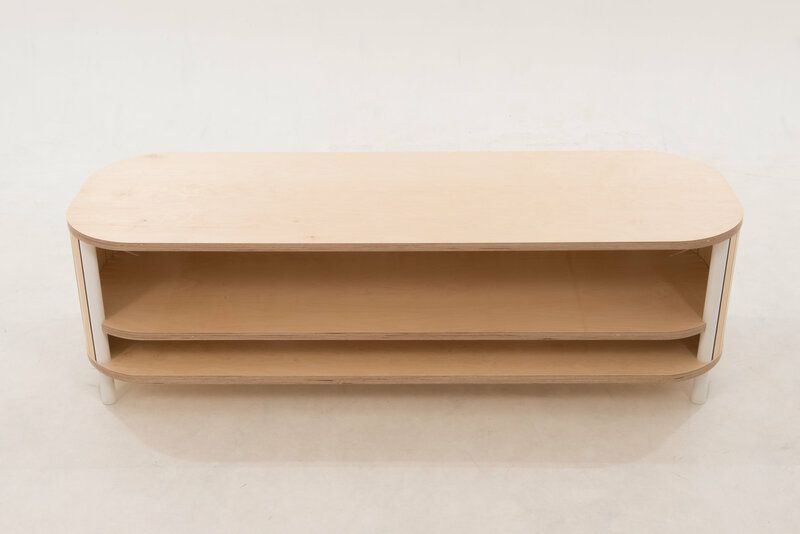 Made in Birch Ply and Poplar.